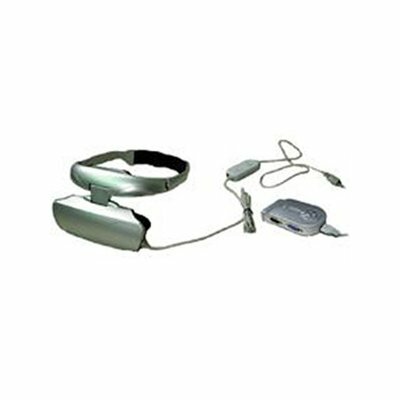 Successfully Added 3D stereoscopic Headset, 40 inches, 2m away, RGB, VGA input to your Shopping Cart. GVD510-3D are available for VGA/ S-Video/ Video and many other input mode, which can be connected to Playstation, Xbox console, DVD player, PCs and etc. It meets your different requirements. This wholesale product features excellent design and represents the latest technology for this application. GVD510-3D with 40" screen and 920K pixels resolution offers you clear and exquisite pictures, which makes your watching seem true. GVD510-3D supports VGA signal switching format, compatible for hot Direct 3D games and Open GL language 3D games, which makes game players enjoy an excellent viewing environment. Furthermore, if working with other stereo-driving software, you can also enjoy 3D movies, pictures or any others. GVD510-3D are available for VGA/ S-Video/ Video and many other input mode, which can be connected to Playstation, Xbox console, DVD player, PCs and etc. It meets your different requirements. Elaborate design, light and portable structure of GVD510-3D inherit from GVD510, which enables enjoying entertainment and work in whatever pose. PC and related compatible system. Must be operated under Windows XP system. Must be using nVidia series 3D picture speeding-up graphic card. ForceWare display drive and 3D stereoscopic driving. If you need additional detailed information about this product, please use the contact form to make a query. Please make your questions as specific as possible, and remember to quote the item numbers (or website URLs) of the products you are interested in.